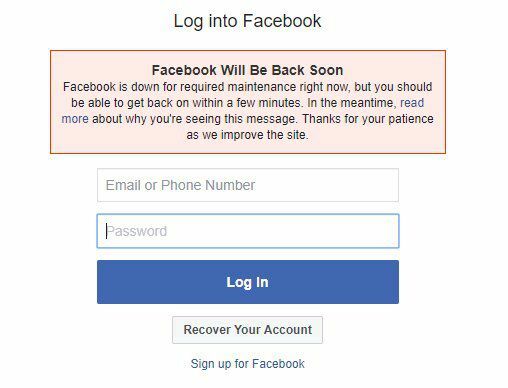 Home Business Some Facebook And Instagram Users Were Experiencing Outages Yesterday. Some Facebook And Instagram Users Were Experiencing Outages Yesterday. Facebook and Instagram appeared to be down for some users yesterday morning with some unable to post and others unable to access the sites altogether. Instagram users also found some issues when trying to access the site yesterday morning. Update August 26th, 12:20PM: Included statement from Facebook. Previous articleHackers Are Exploiting The Promise Of Game Of Thrones Spoilers To Spread Malware. Uber Allegedly Selling Its Auto Leasing Business To Startup Fair.com.